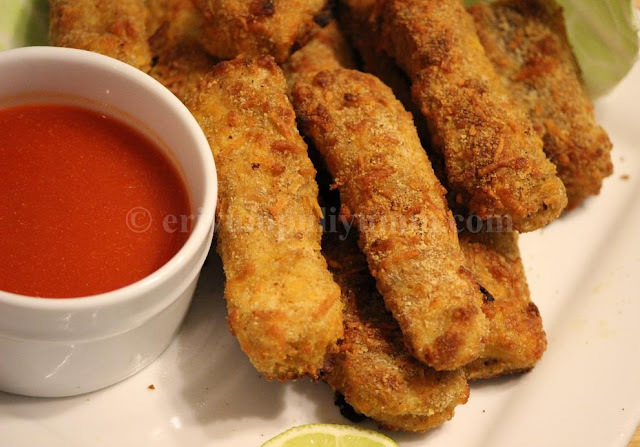 Its really very easy to make n im going 2 try this ..Thanx 4 recipe. hi julie, just bookmark this with thanks. i feel the coating is very tasty and i like the spicy taste. also wishing you and family a merry christmas..have a fun time with all those great foodies. soon, i can smell the yummy turkey coming from your oven, take care dear. 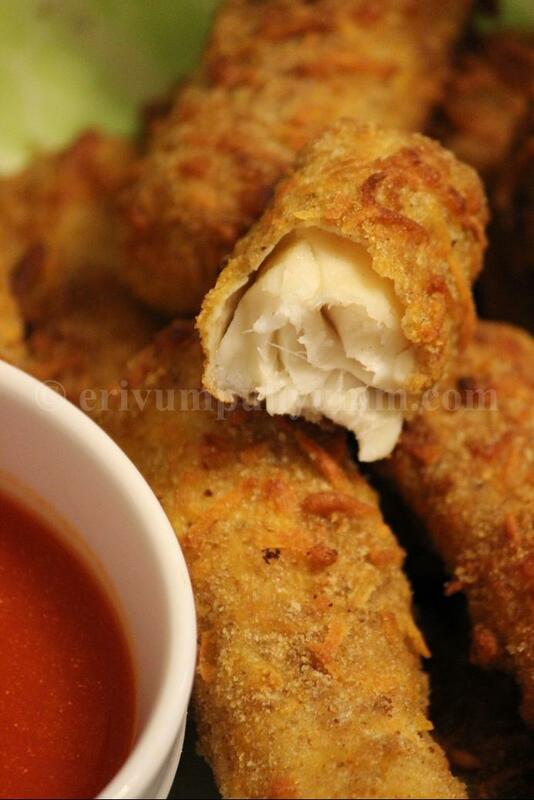 Adipoli fish stick Julie Love it. Thaara loves these fish sticks.. Even me too.. It looks so tempting and delicious.. Bookmarked the recipe.. 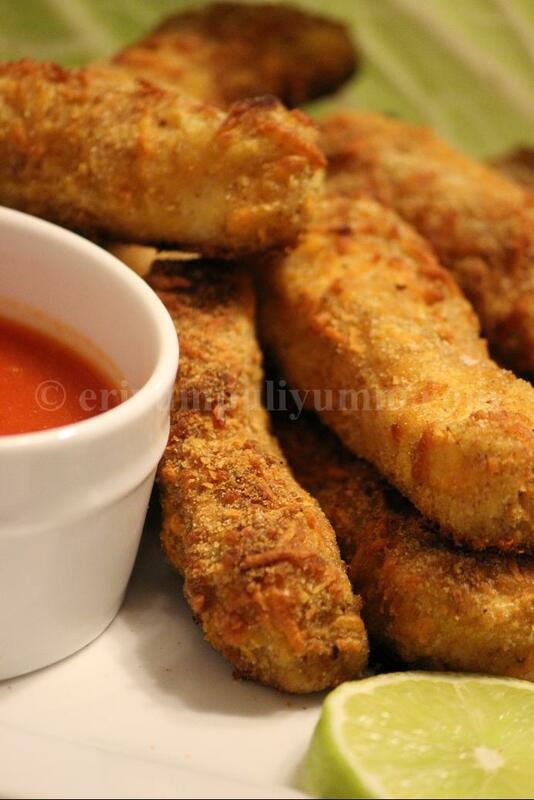 Hi!..This recipe is perfect for my son. I love it!. I wish all the best for Christmas and Happy New Year. Regards from Spain. A fabulous appetizer Julie, just wonderful dear. Bookmarked it. love the touch of cheese for extra crunchiness. give me give me thats so so tempting. Thankyou for this easy and delicious recipe, Julie. It came out well at my first attempt itself! !